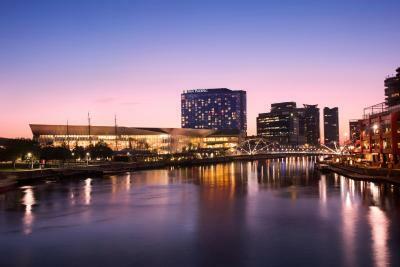 Lock in a great price for Pan Pacific Melbourne – rated 9 by recent guests! The room was awesome and perfect for our needs. It was great to be in a hotel and have a separate room for the kids without being in a serviced apartment. Breakfast buffet was great with a huge variety of options, but I did feel it was a bit expensive. Great view down the river, the lounge very comfortable and accommodating. 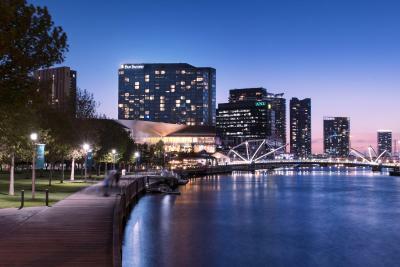 Great spot to enjoy Melbourne. I arrived early and the staff were very accommodating in finding me a room that was ready for me to book into. This helped me a great deal. 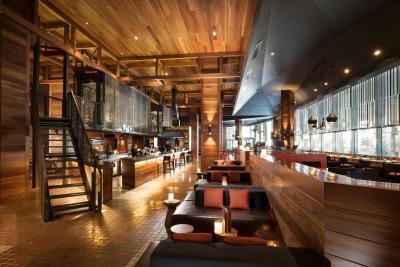 We enjoyed the location, so close to wonderful resturants, travel sights and transportation around the city. the food in the hotel was also excellent. 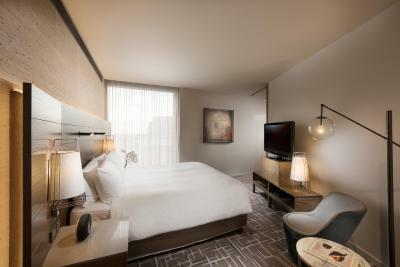 Our room had a wonderful view, was clean and well appointed, with excellent amenities. the pool was also very re;laying and fun place to visit other travelers. Proximity to Convention Centre and the river. Lovely hotel with excellent staff and delicious breakfast. Good staff at lounge and concierge and check in counters. Housekeeping staff very attentive . 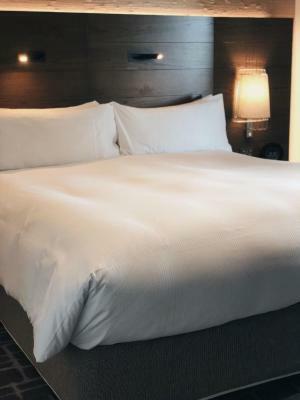 We stayed 2 nights at the hotel, the room was clean and spacious, the view of the city and the river from the room was absolutely stunning and the bed and pillows were very comfortable! 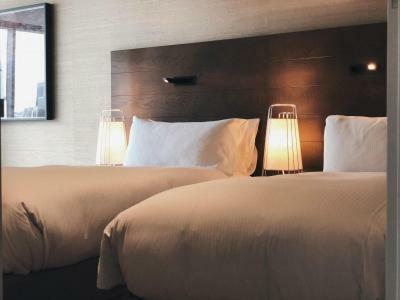 The staff were friendly and accommodating, room service meal was delicious, the location was very good only a few minutes walk from the shops and restaurants. We will definitely come back again! 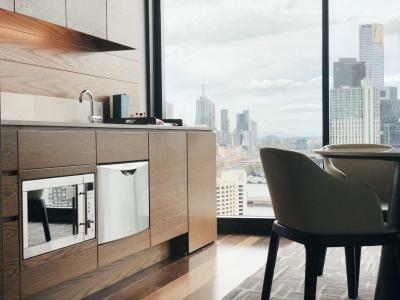 Pan Pacific Melbourne This rating is a reflection of how the property compares to the industry standard when it comes to price, facilities and services available. It's based on a self-evaluation by the property. Use this rating to help choose your stay! 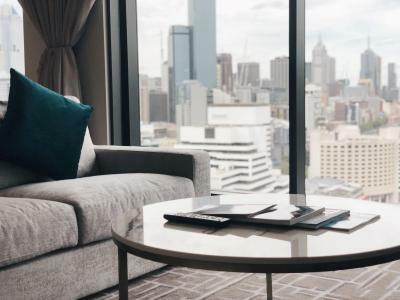 One of our top picks in Melbourne.Pan Pacific Melbourne offers luxurious and stylish accommodations, with panoramic views of the city, Port Phillip bay or Yarra River. 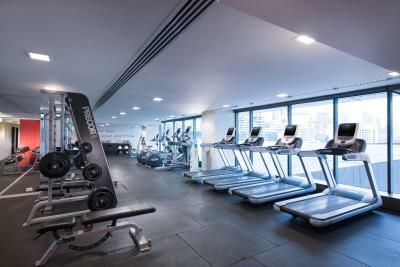 Guests enjoy the finest facilities including a fitness center, and the intimate service of fine and casual dining options and the Pacific Club Lounge, complete with outdoor terrace. 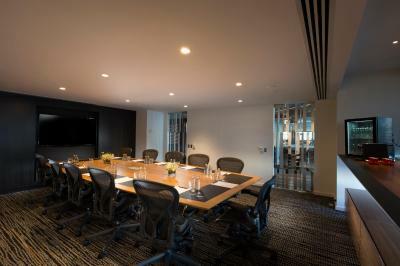 Pan Pacific Melbourne has direct internal access to the Melbourne Convention and Exhibition Center. 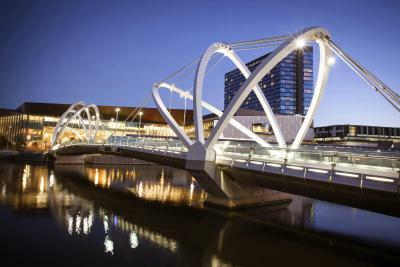 Crown Casino is a 20-minute walk, and Melbourne Tullamarine Airport is a 20-minute drive away. 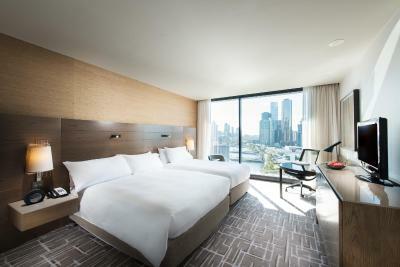 All air-conditioned modern rooms at the Pan Pacific Melbourne include floor-to-ceiling windows with stunning views. Each room has a work desk, a mini-bar and tea and coffee making facilities. 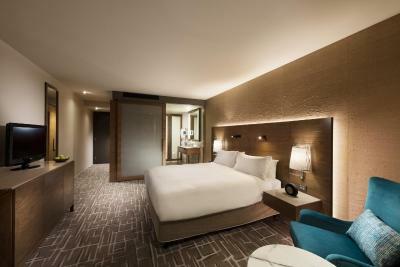 Each room has a flat-screen TV with satellite channels. 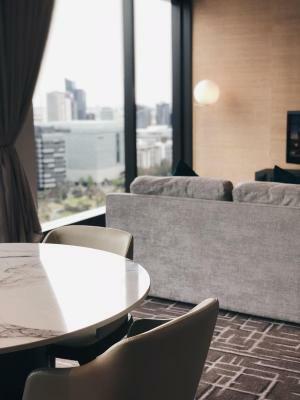 Pan Pacific Melbourne offers concierge services and the 24-hour front desk can arrange dry cleaning, currency exchange and babysitting. 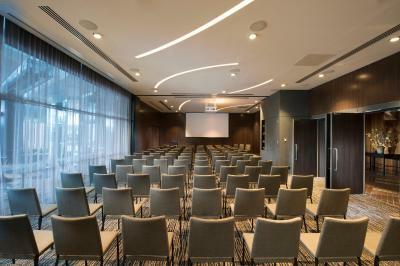 It offers facilities for business meetings and events. 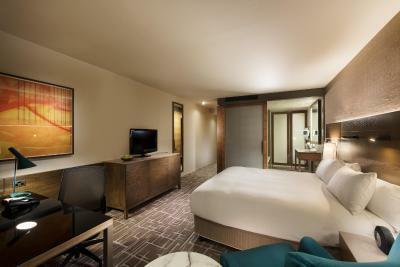 When would you like to stay at Pan Pacific Melbourne? Featuring lovely views to Port Phillip Bay from the floor-to-ceiling windows, this room offers automatic black-out blinds and an en suite with a bathtub and a walk-in shower. It has a flat-screen TV and a work desk. 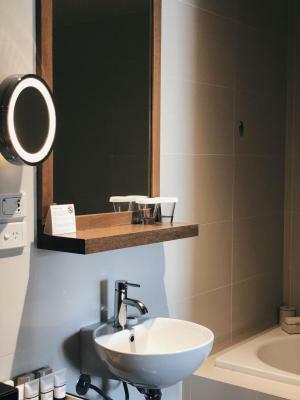 Featuring lovely views of Port Phillip Bay from the floor-to-ceiling windows, this room offers automatic black-out blinds and an en suite with a bathtub and a walk-in shower. It has a flat-screen TV and a work desk. 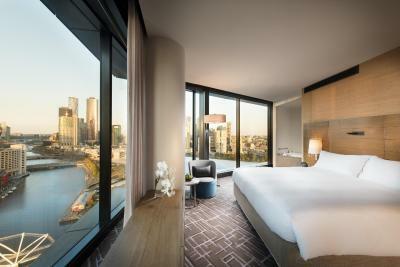 Featuring lovely views of the city and the Yarra River from the floor-to-ceiling windows, this room offers automatic black-out blinds and an en suite with a bathtub and a walk-in shower. It has a flat-screen TV and a work desk. 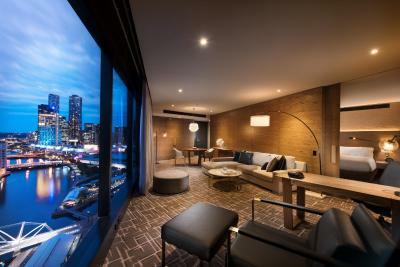 This spacious room features floor-to-ceiling windows offering views to Port Phillip Bay. 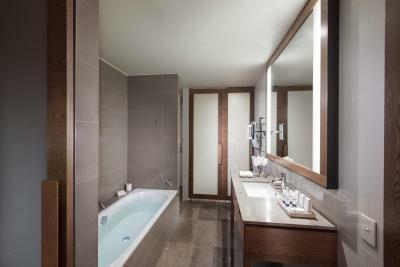 It has automatic black-out blinds and an private bathroom with a bath tub and a walk-in shower. Please note that there are limited availability for the Family Queen Room. 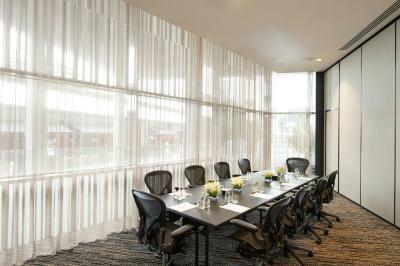 Located on the hotel's higher levels with views of the city and the Yarra River. 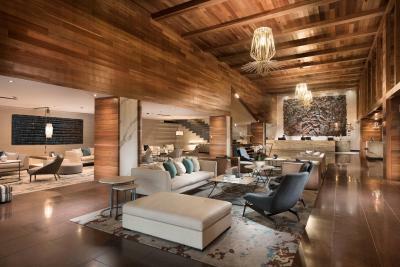 Includes exclusive access to the Pacific Club Lounge, where you can enjoy complimentary daily buffet breakfast. Also included are all day refreshments, evening drinks and canapés, late check-out at 14:00 (subject to availability) and an express check-in and check-out service. Business facilities are also available. 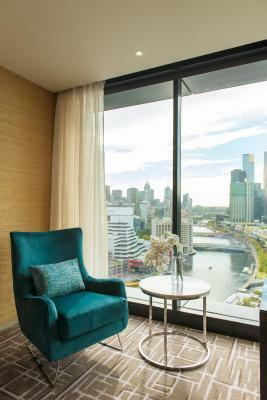 Features corner views over the city and Yarra River. 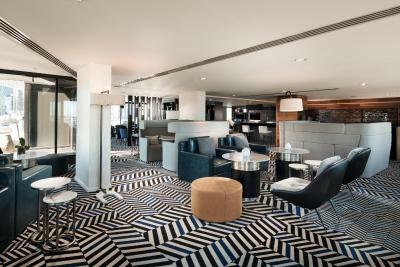 Includes exclusive access to the Pacific Club Lounge, where you can enjoy complimentary daily buffet breakfast. Also included are all day refreshments, evening drinks and canapés, late check-out at 14:00 (subject to availability) and an express check-in and check-out service. Business facilities are also available. 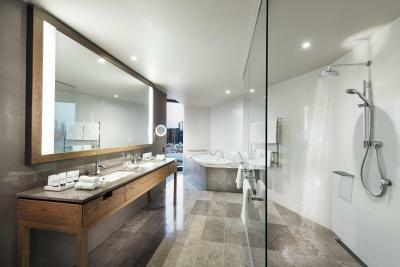 Features views toward Port Phillip Bay and over the Yarra River. 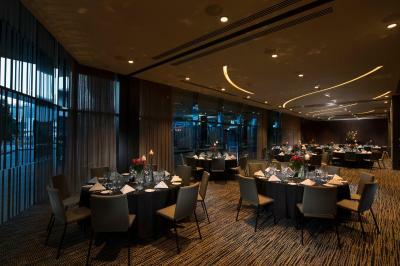 Includes access to the Pacific Club Lounge, where you can enjoy complimentary daily buffet breakfast. 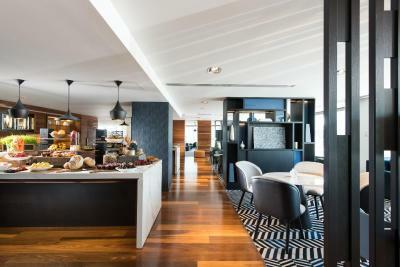 Also included are all day refreshments, evening drinks and canapés, late check-out at 14:00 (subject to availability) and an express check-in and check-out service. Business facilities are also available. 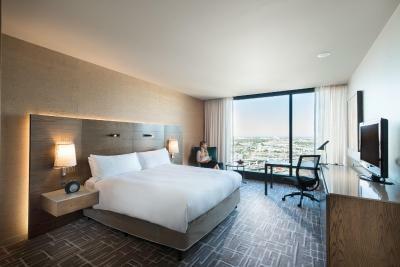 Located on the top 2 floors of the hotel, this extra-spacious suite features floor-to-ceiling windows with lovely views of Port Phillip Bay. It also includes a kitchenette with a microwave and dishwasher, a large flat-screen TV with cable channels, and a DVD player. 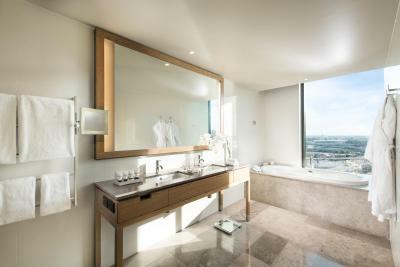 This extra-spacious suite features floor-to-ceiling windows with lovely views of Melbourne city. It also includes a kitchenette with a microwave and dishwasher, a flat-screen TV with cable channels, and a DVD player. family salad and 4x soft drinks. 1 movie Selection and a family-sized popcorn. House Rules Pan Pacific Melbourne takes special requests – add in the next step! 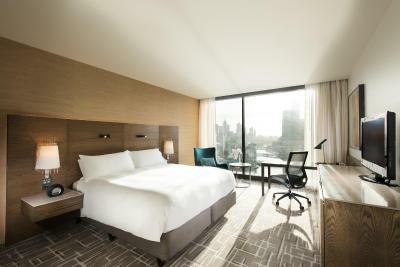 Pan Pacific Melbourne accepts these cards and reserves the right to temporarily hold an amount prior to arrival. Please note that parking is possible opposite the hotel for AUD $24.00 a day, per exit. Valet parking is available at the hotel for $59 per day. Would have liked some lighter weights in the gym, currently the lightest is 7.5kilos, a little heavy for me. Polite, helpful and friendly staff. Buffet staff and food were exceptional. Clean and comfortable room, lovely carpet! Location. Lovely view of the river and cbd. We were extremely happy with the location. 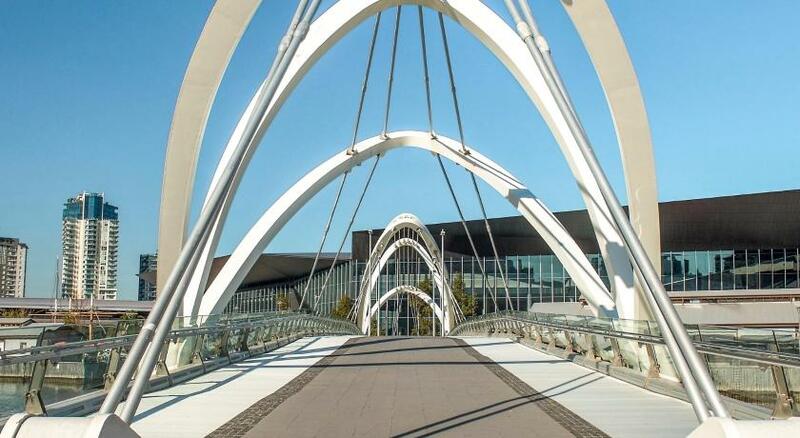 It was so convenient to the conference we were attending at the Exhibition Centre, close to numerous restaurants and a very pleasant walk along the Yarra River to Melbourne attractions. The hotel was very clean, modern and well maintained. 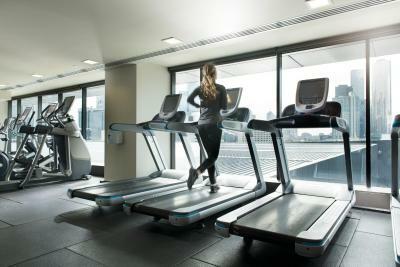 the facilities where also very good, the room was very clean and most of the items you would need where available. Breakfast has a vast selection of foods of high quality and great taste, you can also make your own juice which is very very nice. We didn't like the negative reviews we have read. We have stayed in hotels (mainly Hilton) all over the world and found this equally as good. The only thing we didn't appreciate was the art/sculptures in reception but that is a matter of personal taste! The location was fabulous, as were the views over the river. We found the staff welcoming and helpful. We booked a superior room with access to the executive lounge. Breakfasts were fine, if a little busy downstairs and we would have liked smoked salmon to have been on the menu, at least in the executive lounge. Items in the rooms didn't work properly or needed replacing. Bed was lumpy and pillows were flat. Staff were brilliant and helpful but the location was isolated. Beds are very comfortable. View from the room was amazing and location to City is easy walking or close to all transport. Access to the executive lounge is worth the extra $. The evening drinks and canapes and breakfast were delicious. The service was absolutely amazing right from when we stepped out of our airport shuttle. The buffet breakfast is a must during your stay and the room we were in had fantastic views of the city! Excellent - much choice, friendly and welcoming staff. Mini bar was not restocked - not sure if we should have requested but thought it would have been restocked without request. A shot ordered with desert wasnt provided at diner. A simple mistake we could all make, the cost was reimbursed but disapointing. Not enough of a problem to not stay again. Perfect location for the convention centre, upgraded our room which was appreciated, friendly staff - this was our second stay and we will happily stay again.